Every day, Earth is hit with more than 100 tons of dusty, rocky material from space. Most of this debris is small enough that it burns up in the atmosphere, appearing as shooting stars. But every 10,000 years or so, an asteroid about 100 meters across crashes into our planet, destroying the area around it. And every few hundred thousand years, an asteroid big enough to cause global disaster strikes. Millions of rocky objects have orbits that bring them near Earth, but we have only found about 13,000 of them. Scientists are currently designing sensitive telescopes specifically to find these dark destroyers-of-worlds. The B612 Foundation, for example, is dedicated entirely to stopping big asteroids hitting Earth. But first they—and a number of other scientific programs out there—have to find the potentially deadly asteroids that have Earth in their unlucky orbits. Using a telescope called Sentinel, B612 plans to find tens of thousands of asteroids (not all of them dangerous). In the telescope’s first month, the foundation estimates it will find more than 20,000 asteroids—more than we’ve found total in 30 years. 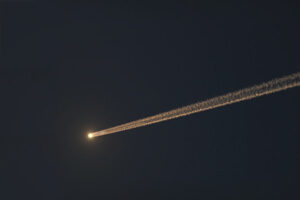 The end goal: to find 90 percent of near-Earth objects measuring more than 140 meters across. But Sentinel and its parent organization have run into some tangles recently. On September 29, NASA announced it was ending its connection to Sentinel. NASA’s network of ground-based telescopes have uncovered about 93 percent of the biggest rocks, one kilometer or more across, that pass within 45 million kilometers of Earth. These would do serious global damage if they crashed into our planet. Scientists think only 70 are left lurking out there, undetected. But collisions like that only happen every 700,000 years or so. So while such events have high consequences, they have low probability. These big objects, though, are easier to spot than more diminutive ones. The smaller the rocks are, the less surface area they have to reflect sunlight. They not only appear smaller but also dimmer. And researchers believe there are about a million near-Earth objects with diameters of about 40 meters—not enough to wipe us all out, but enough to do regional damage. We have discovered just one percent of these. With Sentinel not going quite as planned, and its promise remaining unfulfilled—perhaps not forever, but for its original timeline—what telescopes are tracking down and then continuing to track asteroids? Here are five asteroid tracking missions to help stop an asteroid hitting Earth. 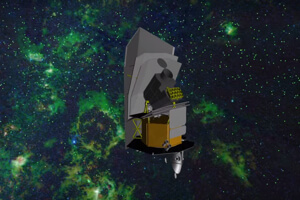 NEOCam is a proposed 50-centimeter-wide infrared telescope that would live in space, between Earth and the Sun, and would look for the heat signatures of asteroids. It aims to fulfill the congressional edict on 140-meter asteroids. It will work for four years and (hopefully) discover 67 percent of those large-ish asteroids, size them up, determine their chemistry, and map their rotation and orbits. NEOWISE also looks for asteroids by seeking their heat. 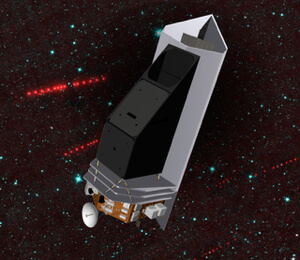 The mission searched through data from the WISE telescope and then took the telescope over, using both the data and the instrument to look for moving objects. Scientists put it into hibernation in 2011 but woke it up in December 2013 to continue its NEO search. After it had spent just six days back on the job, NEOWISE found the near-Earth asteroid 2013 YP139, a potentially dangerous space rock that, luckily, will miss us. 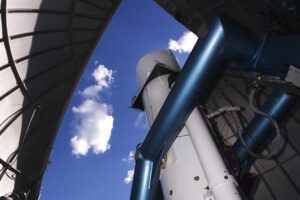 The Pan-STARRS (Panoramic Survey Telescope and Rapid Response System) discovery telescopes span 1.8-meters across and can see 7 degrees of the sky at once. 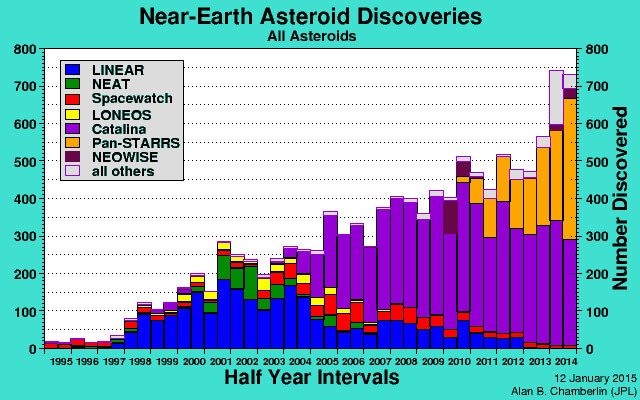 Beginning in 2014, the system has been spending all its time searching for NEOs. The first telescope is complete and in operation, but engineers are still commissioning the second one (although its body is built). Eventually, Pan-STARRS will have four telescopes. In its final form, it should be able to see objects 100 times dimmer than other instruments currently in existence can see. The team calculates that they’ll be able to find 99 percent of NEOs 300 meters and larger. 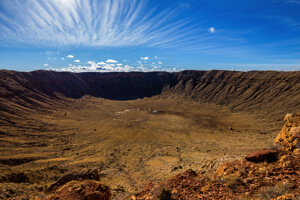 The LINEAR (Lincoln Near-Earth Asteroid Research) program has discovered thousands of near-Earth asteroids from its post on the White Sands Missile Range in rural New Mexico. It uses telescopes originally meant to spy satellites in Earth orbit. The Schmidt telescope. Image Credit: Catalina Sky Survey, University of Arizona. 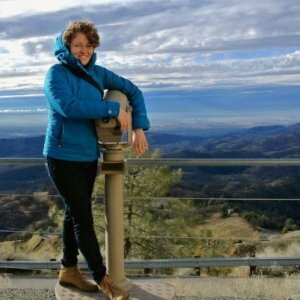 The Catalina Sky Survey, run out of the University of Arizona in Tucson, recently overtook LINEAR as the most prolific asteroid-discoverer. The project was the first ever to detect an asteroid (a small one) that would actually crash into Earth. When it did, scientists tracked its breakup to Northern Sudan, where they collected the meteorites that reached the ground. The existing ground-based telescopes are great. We wouldn’t know of any asteroids at all without them (beyond the ones that actually hit Earth—telling us without a doubt about their existence). But to find the remaining asteroids, a space telescope is key. Sentinel may not make it, but the new NASA NEOCam could. And if both of them come to pass, we might climb over that 90 percent mark to get an A-grade on asteroid detection (and in protecting ourselves from future calamities).